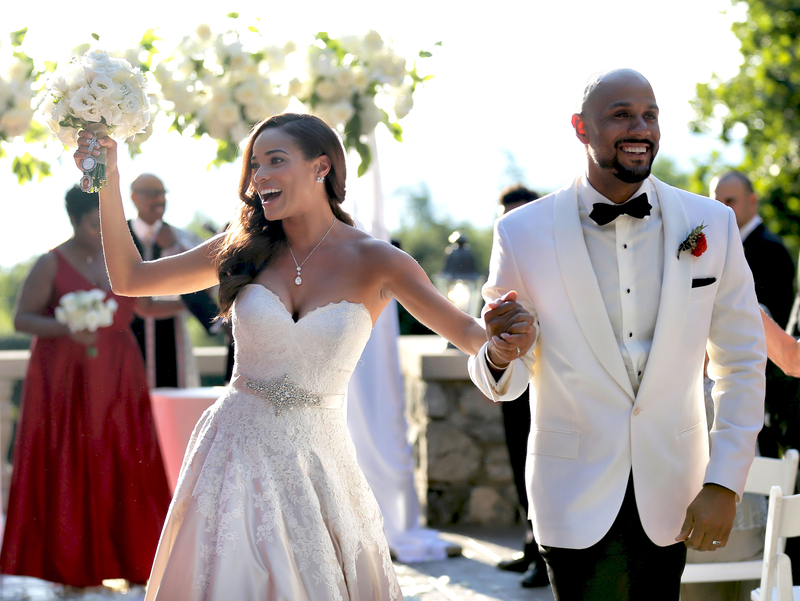 ‘Mistresses’ Star Rochelle Aytes Marries C.J. Lindsey: See Her Wedding Dress! Absolutely gorgeous! 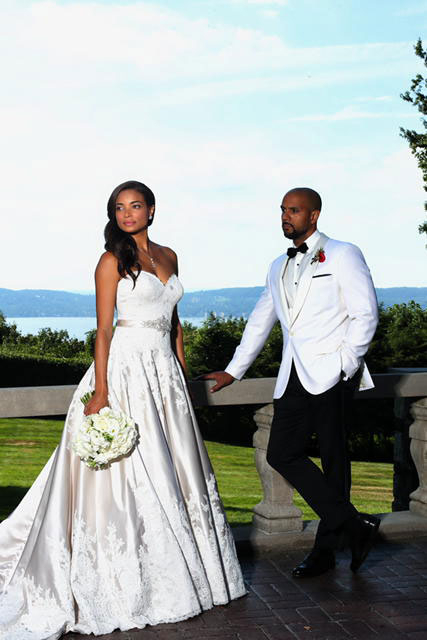 Rochelle Aytes chose a stunning and classic wedding dress to tie the knot with C.J. Lindsey at the Tappan Hill Mansion in Tarrytown, New York, on Sunday, August 28. The Mistresses actress, 40, wowed in a strapless, lace-trimmed ball gown with an embellished bodice and a sweetheart neckline. The dress featured small buttons down the back and was cinched at the waist with a rhinestone-studded belt. She finished the look with a long veil with sweet, scalloped edges. Meanwhile, her fellow actor love, who guest-starred on her ABC series in 2015, looked especially dapper in a crisp tuxedo with a white blazer and black pants. He also rocked a black bow tie, a pocket square and a red rose on one lapel. 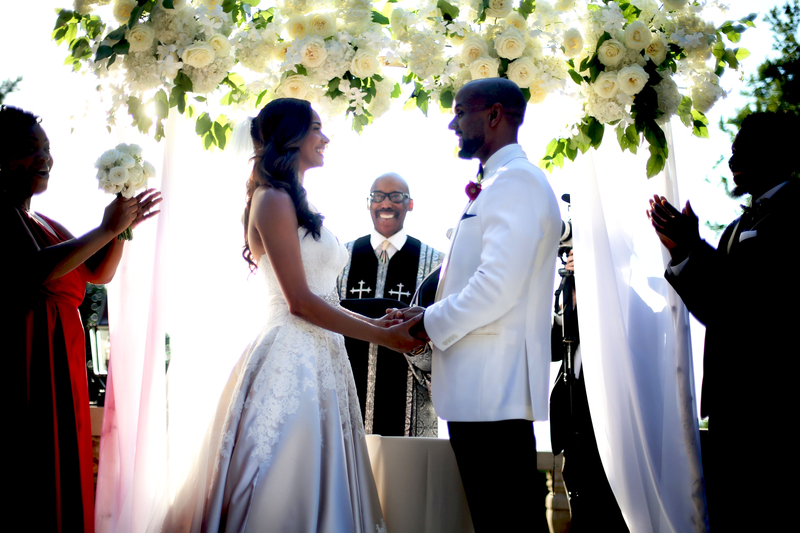 The couple exchanged their vows under a floral arch at the historic locale, on the former estate of Mark Twain, in front of their closest family and friends. In keeping with the red-and-black color scheme, Aytes&apos; bridesmaids wore deep berry gowns, while the groomsmen contrasted Lindsey in all-black ensembles. The next day, the In the Morning actor took to Instagram, where he shared a black-and-white shot in which he danced with his new wife. 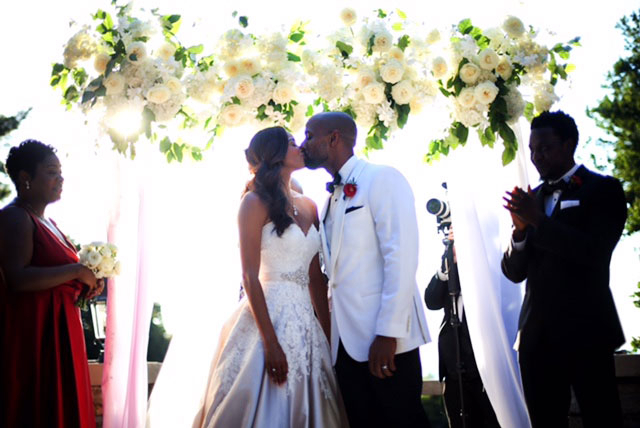 "Last night I got to marry the woman of my dreams @rochelleaytes4real God is Good!" he wrote. "Thank you to all our friends and family that come to share the special day with us. By far one of the greatest days of my life. Thanks for capturing a great moment @misterpaley"
Aytes expressed her happiness with her own series of intimate snaps, including one of the moment she and Lindsey walked back down the aisle hand in hand. "I am officially a Mrs!" she captioned via Instagram on Tuesday. "It gives me great joy to call this man my husband and partner for life!"